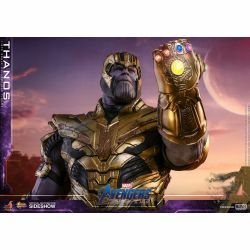 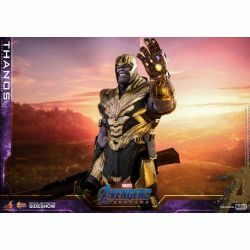 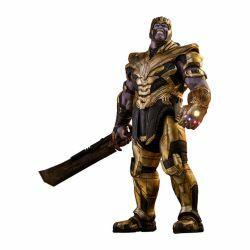 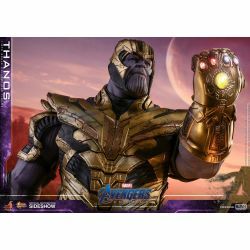 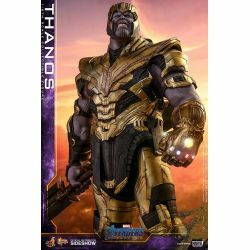 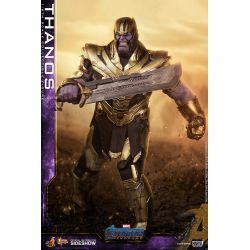 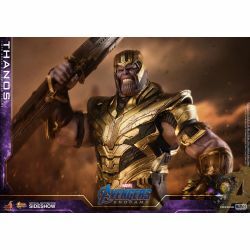 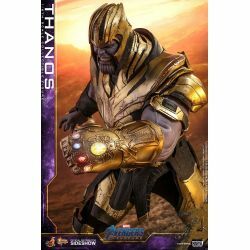 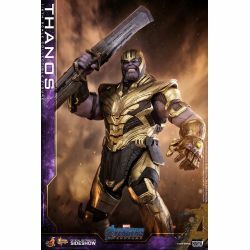 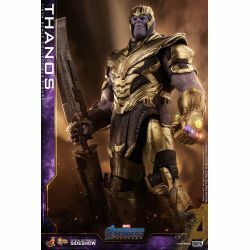 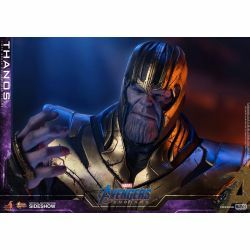 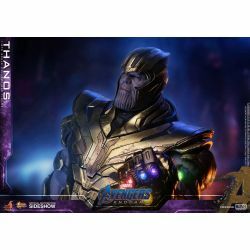 Thanos Hot Toys MMS529 : sixth scale Hot Toys collectible action figure of Thanos as seen in the Marvel Comics movie Avengers : Endgame. 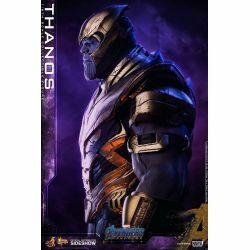 Hot Toys present the Thanos Sixth Scale Collectible Figure from Avengers : Endgame. 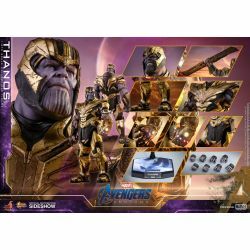 In the wake of Avengers : Infinity War, fans will find the remaining Avengers more determined than ever in this highly anticipated blockbuster, as they are eager to save lives and make things right after the super intelligent, calculating and fierce warlord Thanos succeeded in his goal of collecting all six Infinity Stones and eradicating half of the universe. 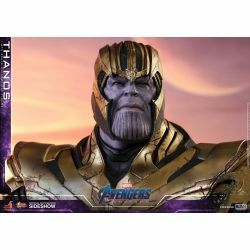 Skillfully crafted based on the appearance of Thanos in Avengers : Endgame, this highly detailed figure features two newly painted head sculpts capturing the Mad Titan’s serious and angry facial expression with movie-accurate likeness. 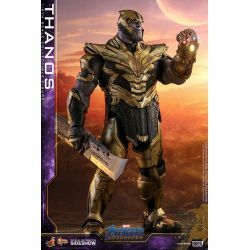 The sixth scale collectible figure also features a specially designed muscular body showing detailed skin texture and tendons, full body armor with trim details and weathering effects, a sixth scale Infinity Gauntlet equipped with LED light up function and matching interchangeable hands mounted with all six Infinity Stones, a helmet attachable on both head sculpts, a heavy double-bladed sword, and a character-themed figure base. Welcome the warlord to your Marvel collection and bring balance to the universe ! 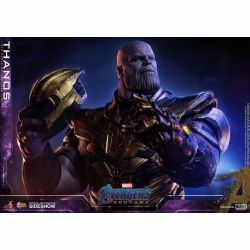 What's in the box of Thanos Hot Toys MMS529 ?